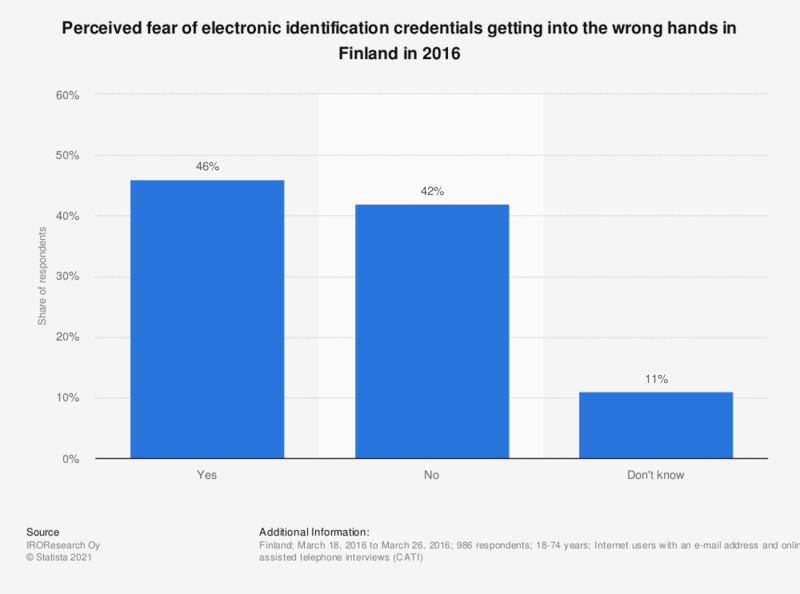 This statistic shows the results of a survey on perceived fear regarding the loss of electronic identification credentials in Finland in 2016. During the period under survey, roughly 46 percent of the respondents were worried about their electronic identification credentials getting into the wrong hands. The question was phrased by the source as follows: "Are you afraid of your electronic identification credentials getting into the wrong hands?"